Sometimes things just work out. 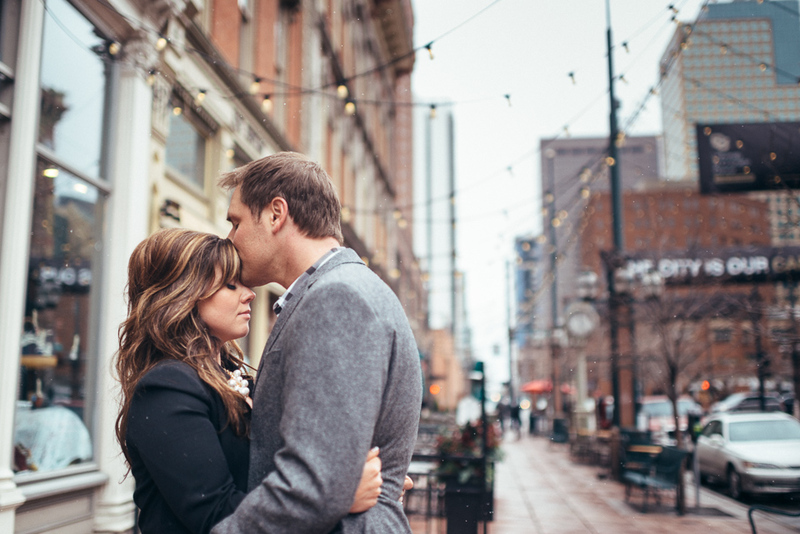 Mandi and Brendon wanted some snowy engagement photos in downtown Denver. When we originally talked in January, we agreed that we’d try to just randomly make them happen the next time it snowed. Over the course of the next three months, we never randomly made it happen. Of course, we had set up a shoot date so that if we didn’t get a snowy day we’d just shoot on a Saturday evening in late March. Well, they must be doing something right because on the day we’d decided to do their photos, it snowed! We all got bundled up and wandered around LoDo, hitting up some favorite spots like the Yellow Wall, the Denver Performing Arts Complex and Larimer Square. The entire time we were out, there was a very light, almost dusty snow falling, which made for a snuggly, romantic shoot. Congratulations Mandi and Brendon! I can’t wait for your New Year’s Eve wedding! Courtney and Kyle Got Engaged! Megan and Addison Got Engaged!